The combination of deep blue crystals and clear rhinestones looks fantastic. 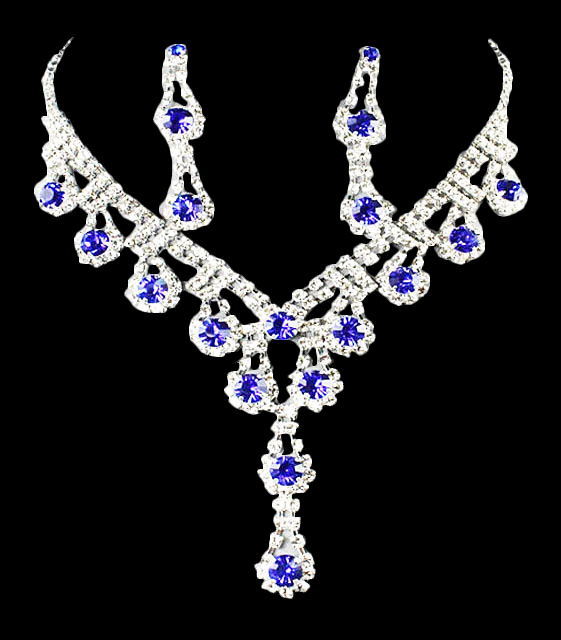 V-cut neckline is adorned with pendant rhinestone details with large round blue crystals inside. The earrings have drop design. The casting is made of silver-plated metal. Add this fashionable statement necklace to your new season's jewellery collection today.